South Africa's Largest On-line Road Signs Directory. Choose from over 1500 road signs. Repro Signs cc was established in 1990. 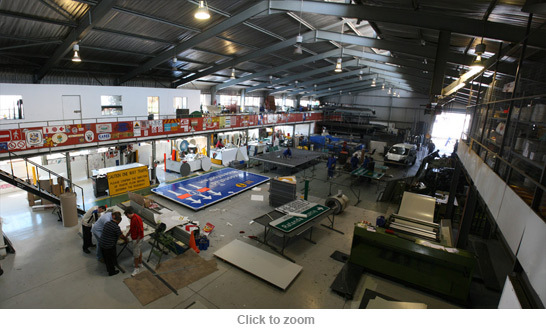 We have our own premises, situated in North Rand road in Boksburg close to the East Rand Mall. Our factory is 1350M² and office space of 360M² Repro Signs cc is currently in the process of implementing a B.E.E. status. 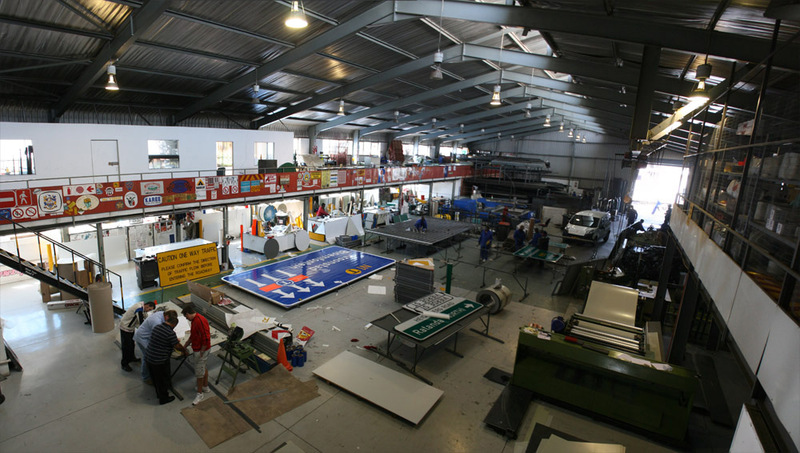 We specialize in the manufacture of road signs, full colour digital prints, light boxes, banners, vehicle marking, indoor and outdoor signage, steel frames, poles, rubber stamps and lazer engraving. We have our own installation and rigging team, our rigging team also work to high safety and environmental specifications.